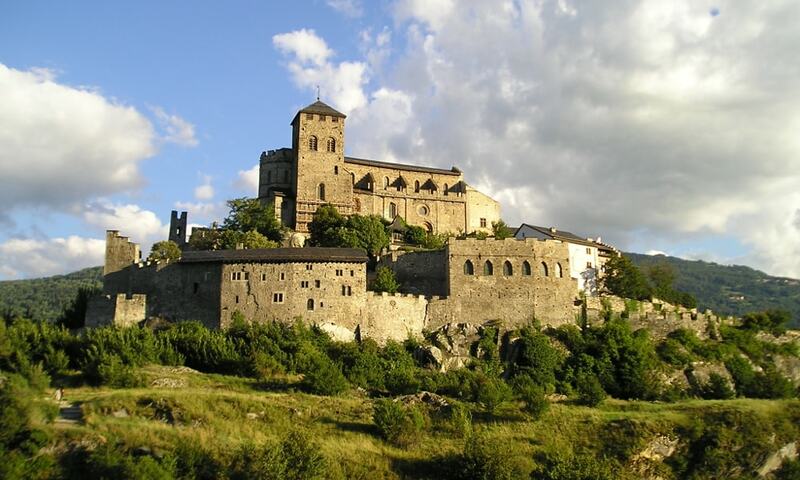 The Valere Basilica also called Valere Castle is a fortified church situated in the city of Sion. It is situated on a hill and faces the Castle of Tourbillon, located on the opposite hill. It is a Swiss heritage site of national significance. The organ on the west side of the Valere basilica, believed to have been built in 1435, is one of the oldest functioning in the world. It was probably brought to the church by Guillaume de Rarogne, who eventually ended up as the bishop of Sion. Its pipes are arranged to form a rough outline of a church; the larger pipes form two towers, and the smaller ones create a triangular church roof. The organ was modified in the 1700s to play Baroque music, but otherwise remains essentially unchanged.